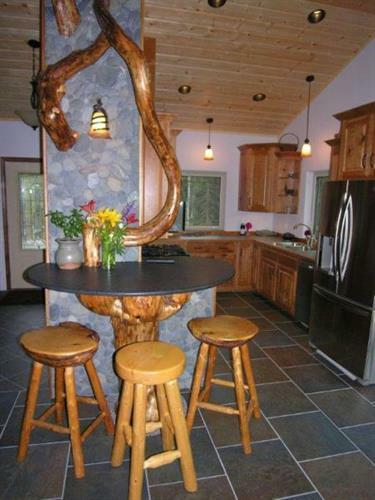 Welcome to Wildwoods Cabin, an experience you will always remember. 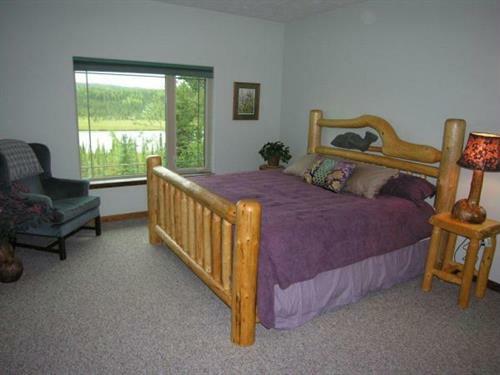 We are a 4 bedroom, 3 bath, cabin in the woods, overlooking the Moose River near Sterling, Alaska. Having harvested local river rock and lots of unique wildwoods, the builder has brought it all together to create this beautiful masterpiece that is Wildwoods Cabin, all for your exclusive lodging experience. Read a book by the fireplace with its amazing burled spruce mantel and enjoy the towering stone and wildwood wall above the black granite bar. The kitchen with cherry cabinets is fully equipped for whatever culinary delights you are ready to create. Fresh fruits, cereals, coffee and teas are ready for your mornings. A large deck overlooking the river has plenty of seating, a gas grill and covered dining area. 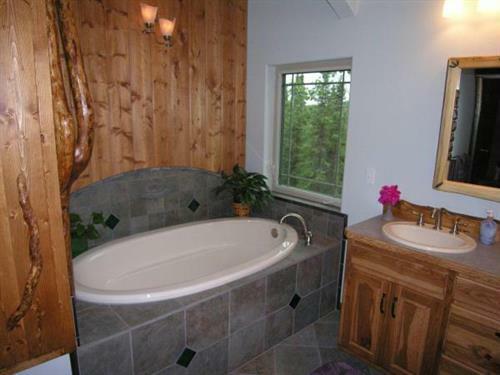 All of the bedrooms have log king or queen size beds and the stunning stone and tiled master bathroom has a soaking tub as well as a large walk-in shower amongst the wildwoods and plant life. Trumpeter swans and many other waterfowl make this a favored stop on their spring and fall migrations. Moose enjoy feeding in the river at sunrise and sunset. Bear, caribou, coyotes, wolves, river otter and mink wander through on occasion. Breathe in the fresh scents from the rock gardens and flower beds that are built into the surrounding terrain. 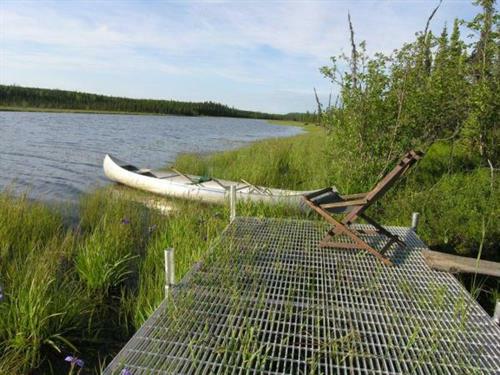 Stroll the path to the river and soak up a sunset on the dock or take off in the canoe for a leisurely paddle up the Moose River. 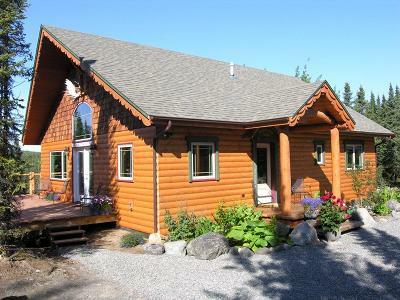 After a day of fishing, hiking, or sightseeing, you can return to the incredible and luxurious surroundings of Wilwoods Cabin.